Gem Pro Casino Playing Cards are made of a newly formulated PVC plastic, and they are just now being introduced to the market. Be one of the first players to get your hands on these incredible All Plastic Playing Cards. 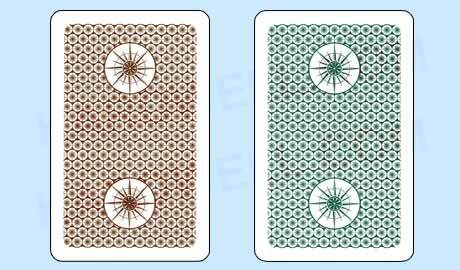 Two-deck sets feature green and brown backs. All Gem Pro Playing Cards are Narrow Size (2-1/4" x 3-1/2") and they are available with regular or super index numbers. Sale Price: $14.95. Was $32.50. Save 55%!